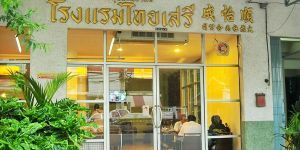 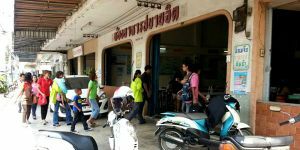 Thammachart Restaurant has opened for approximately 10 years. 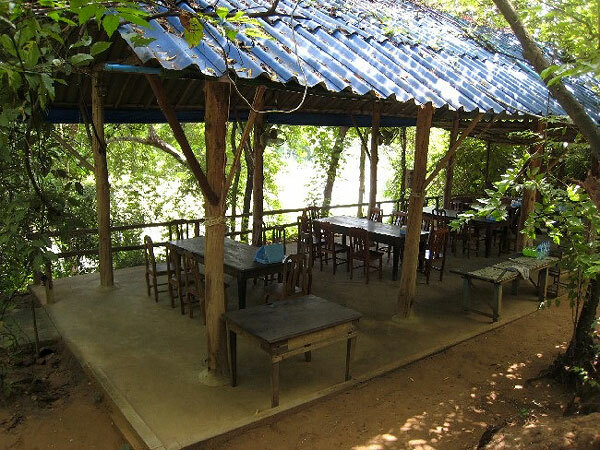 It is an open-air style restaurant. 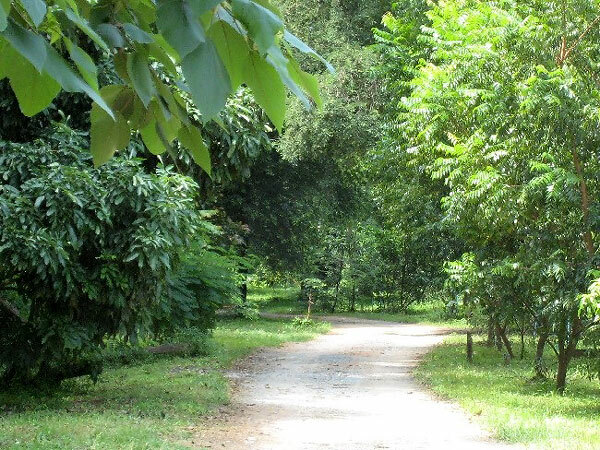 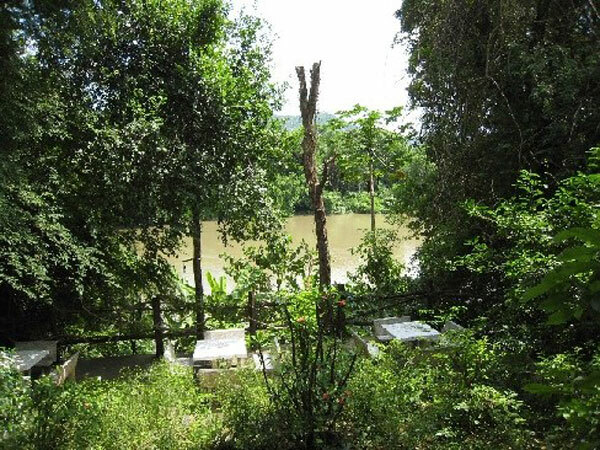 The word Thammachart in its name means nature, where the restaurant can provide natural atmosphere according to that. 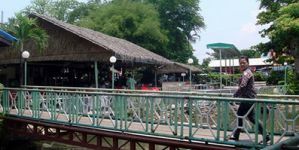 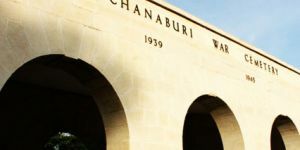 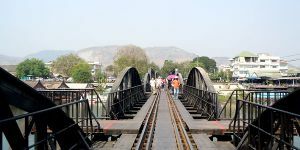 Apart from a number of trees in the restaurants area, there is also a staircase down to Kwai River for visitors to look around the river. 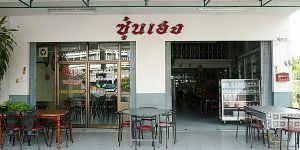 Either Local dishes or seafood dishes can be ordered in this restaurant. 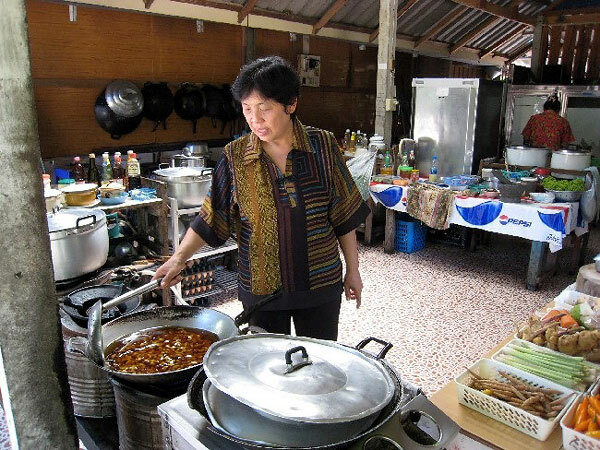 Materials selected and cooking is done by the owner, so visitors can be more confident in the process before serving. 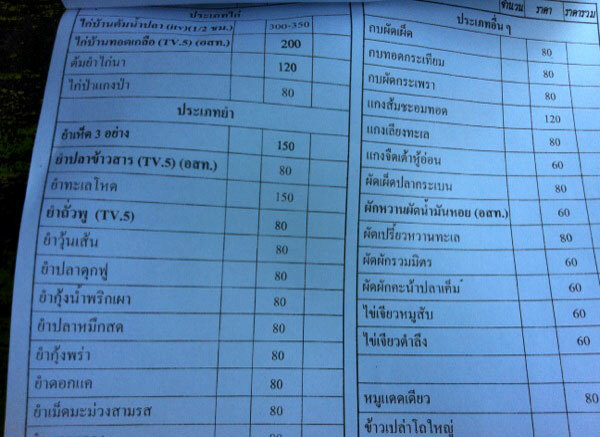 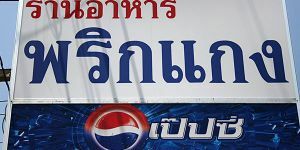 Food price is also inexpensive for Thai customers. 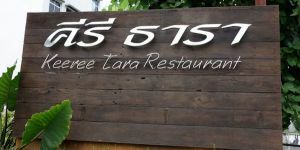 Not surprisingly, there are more and more customers come to this restaurant. 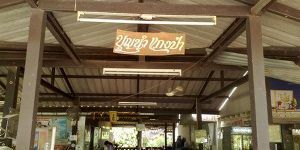 Menu of this restaurant is simply made, and in this menu there are recommended dishes and food prices after the food name. 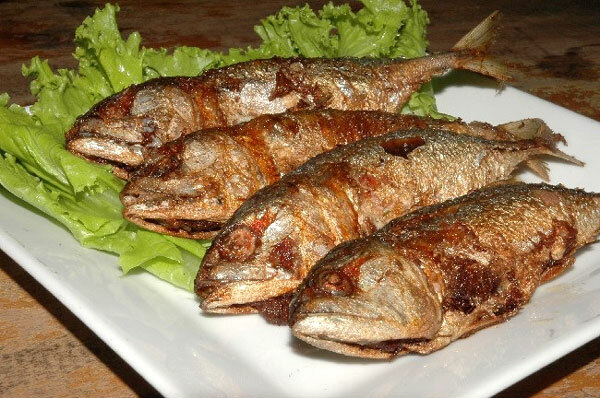 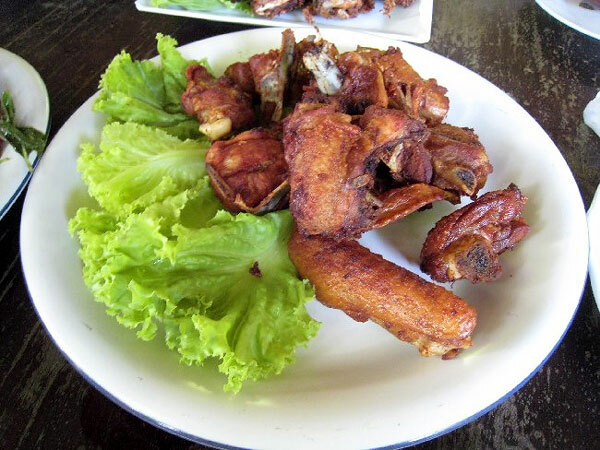 There are a few popular and unique dishes that customers, especially Thais, come to try - fried mackerel fish with curry paste (Hor Mok Pla Tu Tod), sour soup made of tamarind paste with morning glory and shrimps (Kang Som Pak Bung Sai Kung), and snake-head fish with crab incorporated (Pla Chorn Sod Sai Pu). 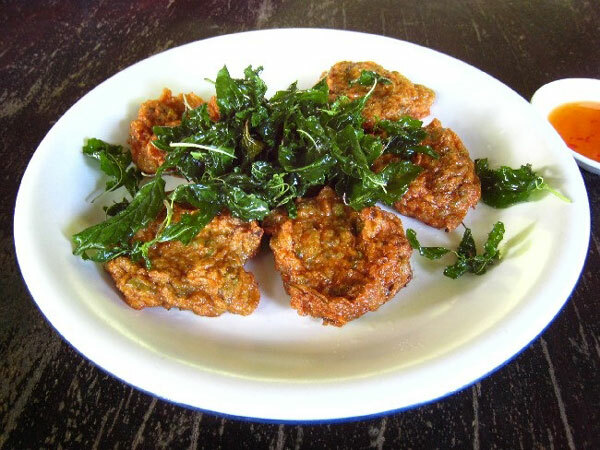 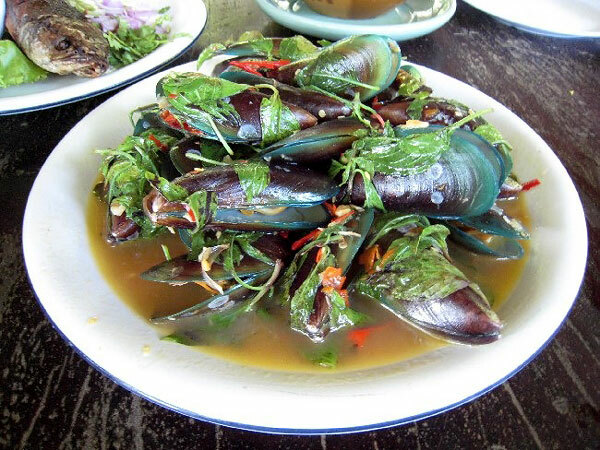 These dishes seem to be unable to find anywhere else in Thailand. 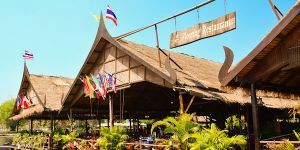 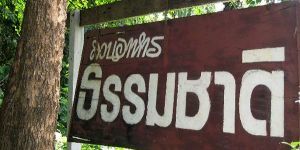 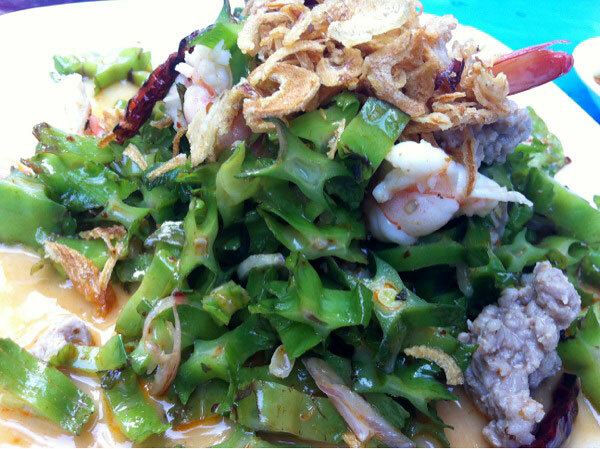 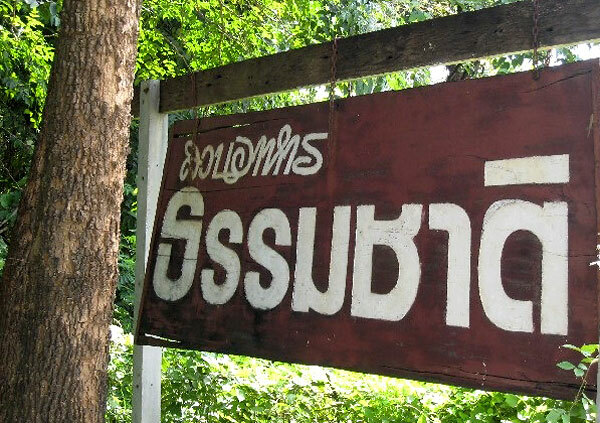 Thammachart Restaurant is located next to Kwai River, approximately 10 kilometers from Kanchanuburi. 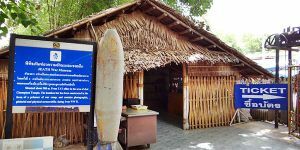 Visitors would have to hire a Songthaew to be there. 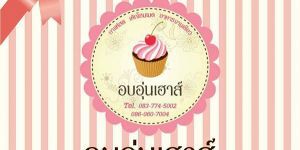 Address: 33/11 Soi Kwai Riverside, Kaengsien, Muang, Kanchanaburi 71000.